What is Payday ransomware? And how does it implement its attack? Payday ransomware is a file-encrypting virus that was first discovered at the end of January 2019. This new ransomware threat uses random characters as extension of the files it encrypts. At the time of writing, it isn’t known yet if this new crypto-virus belongs to any ransomware group. After it infects a computer, it drops its payload file which is the one that connects the infected computer to a remote server controlled by the attackers. It then downloads its malicious components from this server and drops them into system folders in order to launch or repress system processes. It employs a data harvesting module that collects information from the system and sends them to the remote server. 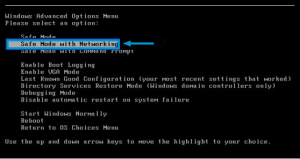 Another module called stealth protection is executed which is the one that bypasses security programs installed in the computer. It also makes modifications in the Windows Registry so that it can automatically execute its attack every time the computer is started. Attention! All your files are encrypted with extension ***. to decrypt your files – you must buy decryptor. Decryptor price – 200 USD. If the decryptor is not bought within 3 day’s – files will be pernamently destroyed. Payment is accepted only in bitcoin ( https://en.bitcoin.it/wiki/Main_Page ). Our support will give you the address of our Bitcoin wallet for payment during a personal dialogue. Contacting us – specify the extension of the encrypted files, and your unique identifier, which is listed below. Only we can decrypt your files, do not use third-party software, it will break the files. If you have any problems / questions – our support will help you. Good luck. May god help you! How does Payday ransomware spread online? Payday ransomware spreads the web using several techniques although it most likely uses malicious spam email campaigns. These kinds of emails often pose as a legitimate email from well-known companies or groups. The infected file may be disguised as a document with macro scripts. Once this file is opened, the malicious scripts embedded in the file will run and install Payday ransomware in the system. Therefore, you must thoroughly inspect an email first before you download any attachment. Terminate Payday ransomware from your computer with the help of the removal guide below. Step 1: You have to terminate the malicious processes of Payday ransomware first using the Task Manager and to open it, tap Ctrl + Shift + Esc keys. Step 2: Go to the Processes tab and look for a process named “cexplorer.exe” as well as other malicious processes related to Payday ransomware and then right click on each one of them and select End Process or End Task. Step 3: Close the Task Manager and open Control Panel by pressing the Windows key + R, then type in “appwiz.cpl” and then click OK or press Enter. Step 4: Look for dubious programs that might by related to Payday ransomware and then Uninstall it/them. Step 5: Close Control Panel and then tap Win + E to launch File Explorer. Step 6: After opening File Explorer, navigate to the following directories below and look for Payday ransomware’s malicious components such as HOW_TO_DECRYPT_MY_FILES.txt, cexplorer.exe, [random].exe and other suspicious-looking files and then erase them all. Step 7: Close the File Explorer. Before you proceed to the next steps below, make sure that you are tech savvy enough to the point where you know exactly how to use and navigate your computer’s Registry. Keep in mind that any changes you make will highly impact your computer. 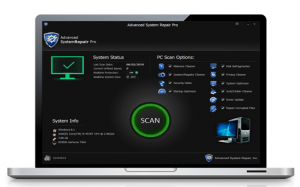 To save you the trouble and time, you can just use Advanced System Repair, this system tool is proven to be safe and excellent enough that hackers won’t be able to hack into it. But if you can manage Windows Registry well, then by all means go on to the next steps. Step 8: Tap Win + R to open Run and then type in regedit in the field and tap enter to pull up Windows Registry. Step 9: Navigate to the listed paths below and look for the registry keys and sub-keys created by Payday ransomware. Step 10: Delete the registry keys and sub-keys created by Payday ransomware. Step 11: Close the Registry Editor. Step 12: Empty your Recycle Bin. Restoring your encrypted files using Windows’ Previous Versions feature will only be effective if Payday ransomware hasn’t deleted the shadow copies of your files. But still, this is one of the best and free methods there is, so it’s definitely worth a shot. To restore the encrypted file, right-click on it and select Properties, a new window will pop-up, then proceed to Previous Versions. It will load the file’s previous version before it was modified. After it loads, select any of the previous versions displayed on the list like the one in the illustration below. And then click the Restore button. Once you’re done executing the steps given above, you need to continue the removal process of Payday ransomware using a reliable program like Advanced System Repair. How? Follow the advanced removal steps below.